Enth Degree F3 Thermal Socks are an incredibly comfortable thermal sock designed to be used inside your shoes, dive boots and flippers. Going out on a limb here but we reckon they're probably the most comfortable thermal socks we've had the joy of testing. The soft-touch moisture wicking fleece kept our toes blister free even after 8 hours in fins, 6 days straight! We even wore them hiking through some waterfalls out the back of Brisbane and aside from the ample feet warmth, they're too thick for the leeches to get through! 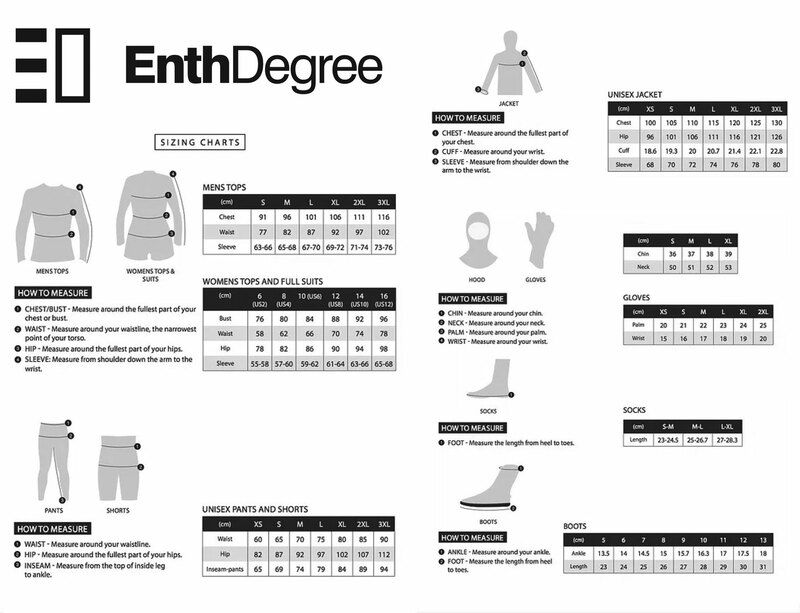 The Enth Degree F3 Thermal Socks are constructed out of the Fernotherm3's technical thermal material which is made up of a water repellent outer jersey and a 385gsm soft-touch thermal fleece throughout the inside - hit that link to learn more!